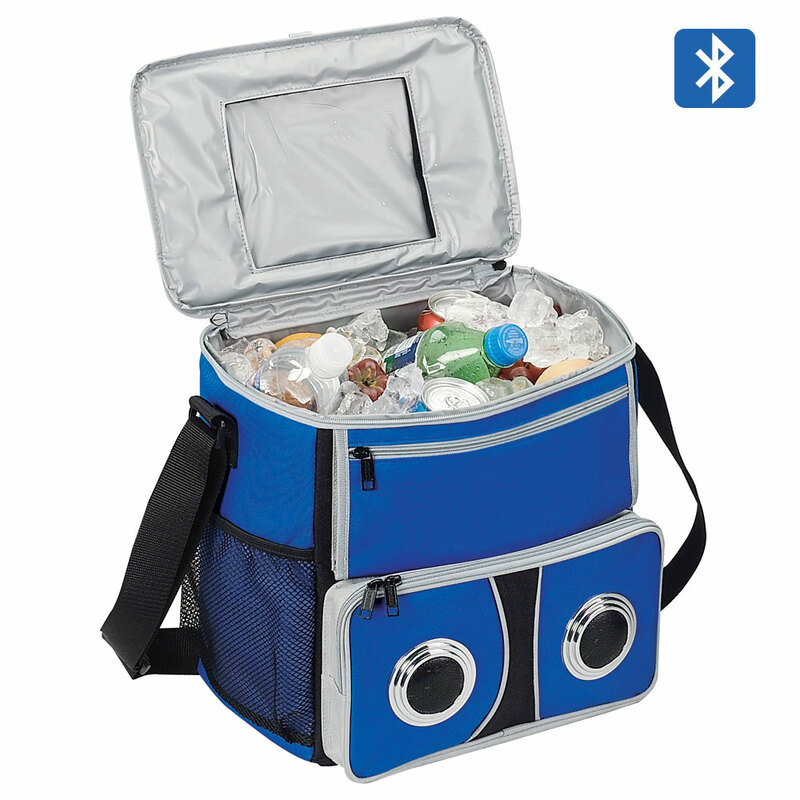 Keep your sound connected and food and beverages cool with this clever cooler. 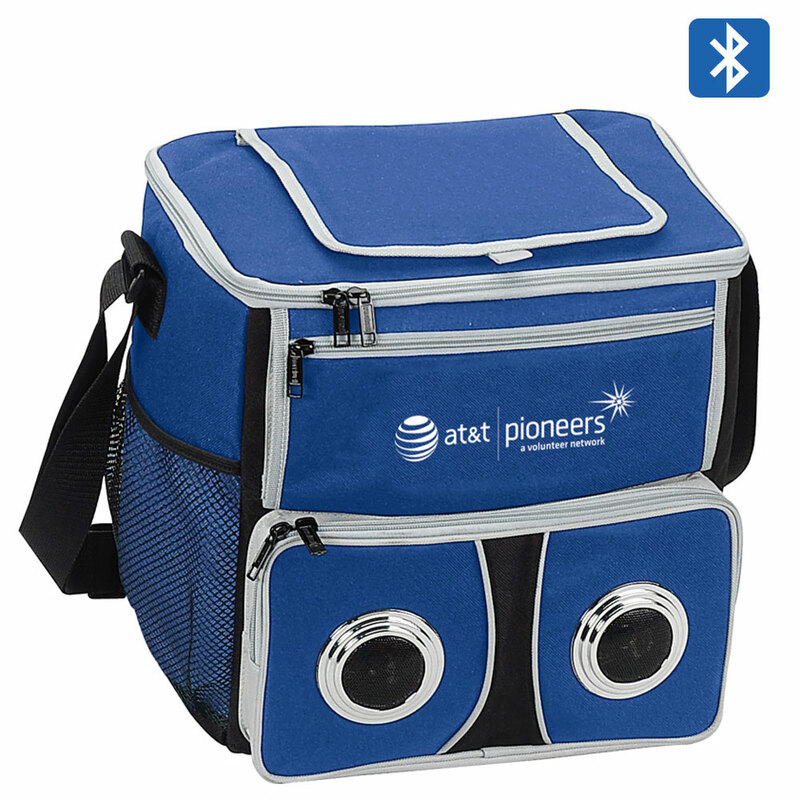 Done in durable 600d polyester, this fully insulated, 24-pack cooler comes complete with speakers! Simply sync your Bluetooth enabled device to the speaker device for seamless wireless playback. A quick-access Velcro pocket on top makes it easy to get to everything inside. A side mesh pocket and dual front zip pockets hold incidentals. It's a party in a bag! Required 4 AA Batteries (Batteries not included). Prop 65 Compliant. Pack Info. : 12 pcs / 37.00 lbs. Pack Note: (Dimension Weight) / 23 lbs. (Actual Weight) / 25" x 22" x 13"